Dutch king - King Willem-Alexander - followed his passion for flying by secretly piloting commercial airliners for 21 years! There are some radical passions in us that we may easily misinterpret as inhibitors of the needs of our practical daily lives. Because of this, many of us have drowned our innate passion in the pools of affluence that our jobs submerge us in. Many of us, because of distorted societal paradigms, misread these passions (which we desperately enjoy doing) as some ill gravitational force which could pull us down from our elite social class into the “commoner” category. For that we readily exorcise the inner drive, pulling us away from our most original passions. But do you think your position is too big for your position? What then would you say of the Dutch king – King Willem-Alexander – who has secretly piloted commercial airliners for 21 years even though he was a prince, and now a king? Yes! The King of the Netherlands recently made the startling revelation that he has been a pilot for the Netherlands national carrier, KLM for the past 21 years. King Willem-Alexander made this engrossing revelation in the course of an interview with De Telegraaf newspaper. With a tone tastefully cooked from pride and amiability, he revealed that he pilots commercial flights, particularly on short haul services, twice a month. This is sumptuous food for thought for those of us who would easily shut our passions up in the lockers of pride. Would you believe it? Is there anything more class-conscious than royalty? But that is no problem at all for His Majesty. The king regularly spoke over the intercom to passengers for over twenty one years, yet no one knew they were flying on a king’s wings. 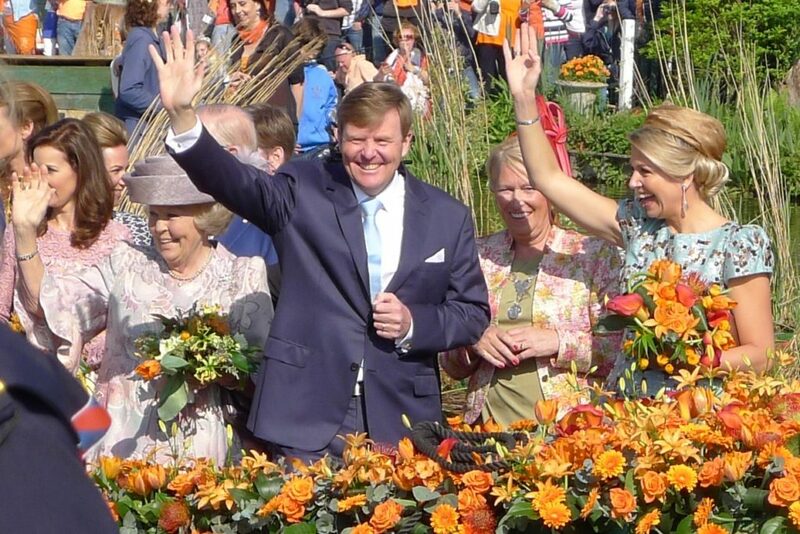 King Willem-Alexander, his wife, Queen Máxima (right) and former Queen Beatrix, wave to crowds during Queens Day. Revealing how he managed to hide his identity, the king explains that he wasn’t under obligation to reveal his name. “The advantage is that I can always say I am speaking on behalf of the captain and crew to welcome them on board, so I don’t have to say my name. But then, most people don’t listen anyway.” he said. This is a scintillating story of humility, a story of a head well vented of egoism, one ready to step below his aristocratic ordinance to the commonness of his happiness. The king justifies this “aeronautic exuberance” saying flying is “relaxing” for him. Furthermore, he says it allows him to step out his responsibilities as king for a while. And why does he fly only short distances? Just in case something demands his monarchical duties! This astonishing disclosure from the king doesn’t mean he’ll be hanging up his pilot boots anytime soon. Rather, he will go on a “leave” to further his flying skills so he can pilot Boeing 737s! This aircraft happens to be the upgrade that KLM will soon be operating for its short haul fleet. 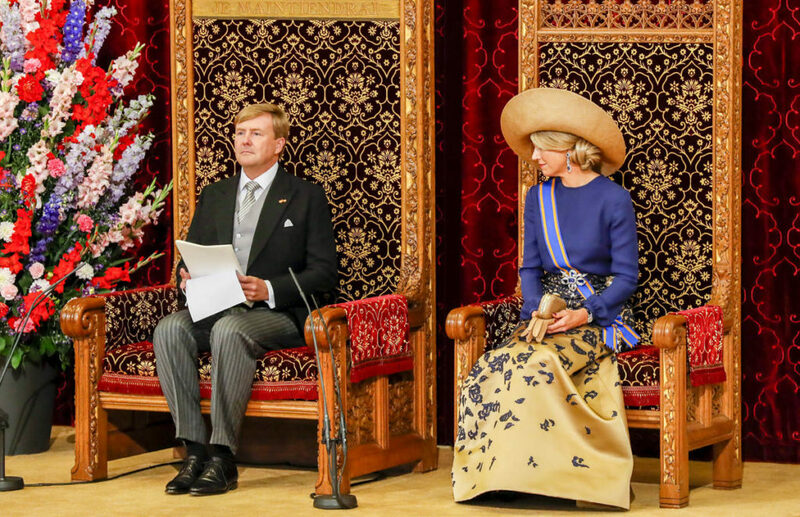 King Willem-Alexander, his wife, Queen Máxima (right). Certainly kings are viewed as people who have royal duties that would preclude them from chasing silly, personal dreams (like flying passenger planes!). But King Willem-Alexander chose to follow his interests and passions as a matter of life policy. From this story, we see that there is no justification in hiding our innate passions behind the elegance of our polished professions. Our positions can never be too big for our passion. So, from us to you, use this story as inspiration to pursue true happiness while carrying out your everyday professional responsibilities. If King Willem-Alexander can do it, so can you!